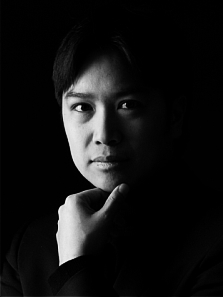 Alexander G. Adiarte is one of the most talented and dynamic conductors of his generation. He has worked as a guest conductor with the Stuttgart Philharmonic, the Staatsoper Stuttgart, Baden Baden Philharmonie and the Württembergische Chamber Orchestra of Heilbronn. As the Artistic Director of the Leonberg Symphony Orchestra, his work as significantly developed the orchestra establishing a stable and important presence for the orchestra in the cultural life of the city. Since 2012, Alexander G. Adiarte has been the music director of Germany’s oldest orchestral society, the Orchesterverein Stuttgart. As a passionate music educator, Adiarte always strives to bring the best out of his musicians, and share his knowledge and experience with musicians of the next generation. He works intensely with the Young Chamber Orchestra of Stuttgart and the Stuttgart Youth Symphony, leading them on international concert tours all over the world. As a conducting teacher, Adiarte has given various conducting workshops for the Bundeswettbewerb Jugend Musiziert, the Stuttgarter Musikschule, as well as the Landesverband Baden-Württembergische Liebhaberorchester. Alexander G. Adiarte was born in Minneapolis, Minnesota in the USA. He studied Music and Violin Performance at Yale University with Erick Friedman and completed his Diploma in Conducting at the Hochschule für Musik und Theater “Felix Mendelssohn Bartholdy” in Leipzig. The American conductor was a Scholarship recipient of the International Ensemble Modern Academy with Helmut Lachenmann. Further scholarships include the Forum Neues Musiktheater at the Staatsoper Stuttgart, the Richard-Wagner-Verband, and the Akademie Musiktheater heute, sponsored by Deutsche Bank. In 2003, Alexander G. Adiarte was a Conducting Fellow at the Tanglewood Music Center. Here he worked with Kurt Masur, Christoph von Dohnanyi, and Rafael Frühbeck de Burgos. Furthermore, he has also participated in Master Classes with Helmuth Rilling, Peter Eötvös, and Jorma Panula. In addition to concerts in Germany, Switzerland, Italy, and France, Adiarte has conducted concerts in Taiwan, China, Spain, Cyprus, Brazil, Australia, the Czech Republic and the USA. Unter der Leitung von Alexander G. Adiarte, spielt das Junges Kammerorchester Stuttgart als Ensemble in Residence beim Hotel Millepini 4 Konzerte in großraum Venedig!